Gainey Ranch recently stepped out in front of the curve on what will inevitably be a very important issue in the coming years . . . drone usage in our residential communities. As you can see from the photo above, drone photography for real estate is very dramatic. We get an entirely new prospective on our community. 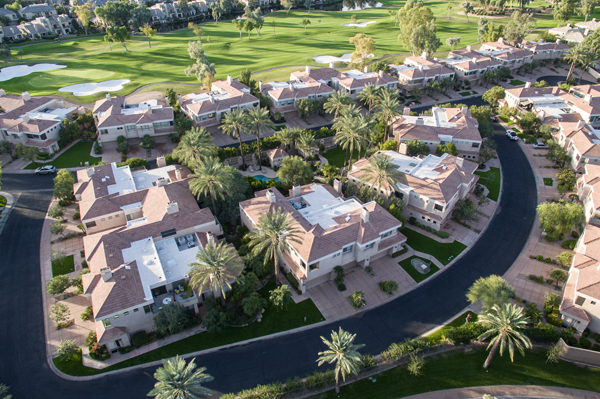 For neighborhoods like Gainey Ranch, where the landscaping and golf course provide some incredibly dynamic views, an aerial photo exhibits these beautiful amenities to their fullest extent. But at the same time, we must be cognizant of the fact that there are critical issues of privacy that must be addressed. Many homeowners are reluctant to have drones flying overhead snapping photos. They may not want their home in the picture! But how do you get a single home in an areial shot? Obviously you don’t. So we have issues that must be discussed and worked out. If you’re a homeowner wanting to sell your property, an aerial picture from a drone will showcase your home like no other photo. But if you’re the next door neighbor you may be worried about that drone overhead. The fact that the Gainey Ranch Master Board has addressed this issue early is very positive. Any private or commercial use of a drone in Gainey Ranch is prohibited unless the use of the drone has been formally requested and approved by the Master HOA. If you feel strongly about this issue one way or the other, please give me your thoughts back in a return blog post below. Many thanks!